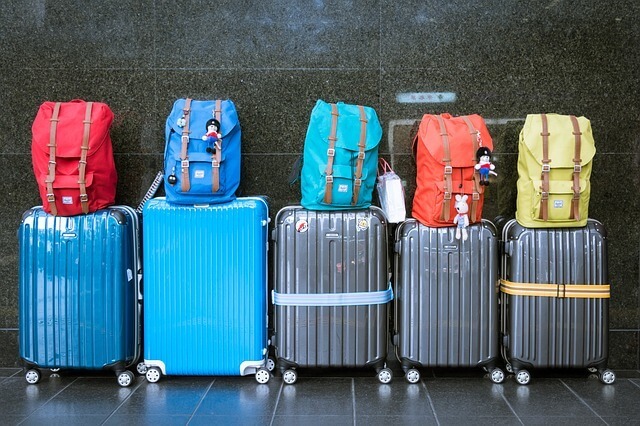 Avoid excess baggage fees at departure. Use AIRSEA Excess Baggage Services to plan ahead and move everything. Send your bags ahead to any Airport or Seaport safely and securely. It’s the perfect way to remove travel stress. Our Rates – compiled using reputable airline carriers and shipping lines. Always ensuring your luggage arrives at its destination quickly and safely. Collect from your location (home, hotel or place of work) anywhere in Ireland. Choose a Door to door service via Air, Road or Sea. AIRSEA, an IATA approved company. AIRSEA serve excess baggage rates to all airports and sea-port destinations. So we can also arrange export and import customs clearance plus all relevant paperwork at origin and destination. Our insurance is the most competitive in the Irish market place. Available to give you that extra peace of mind. We insure goods on a door to door, airport to airport, and seaport to seaport basis – covering all worldwide destinations. Insurance must be requested in writing. Our underwriters are one of the largest insurers in the world. Insurance policies are issued on the day of travel or prior to departure date. Europe – Africa – USA – Canada – Australia & New Zealand. Mini Moves Service – that extra level. A service designed for a combination of boxes, suitcases, laptops, computers, bed linen and other household goods. A mix items normally considered too big or expensive to send as excess baggage. Yet not equal to a full household move. AIRSEA uses discounted airline and shipping line tariffs to offer you the best rates available in the market.Recommended by all the major airline carriers flying in and out of Ireland. We have regular shipping services by road to mainland Europe and UK. AIRSEA can also provide you with all packaging materials you might need; such as boxes, bubble wrap and tape. Plus AIRSEA collects and delivers round the globe using it’s extensive partnerships and network associations.Delivered on a door to door – air, road and sea, we offer various transit time deliveries from 2-3 days. Depending on the service type chose, destination, pre-determined budget and delivery time scale.To send your excess baggage anywhere in the world. Our budget priced packages are competitive and save you time and money. Avoid costly surprises – Put your luggage in good hands with AIRSEA.